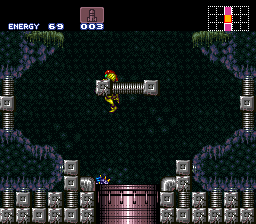 SNES Super Metroid (JPN/USA) "game end glitch" in 07:14.75 by Taco, Sniq & Total. With new tricks and room strategies, this improves the previous speedrun by 74 frames. Read the author's comments for more information.